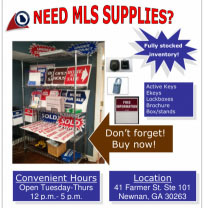 The Newnan Coweta Board of Realtors has a full schedule of events for both residents and realtors. We encourage to click for more information. If you are new to the community we welcome you and invite you to experience all the Newnan Coweta area has to offer! Start with this overview. Realtors, home buyers, sellers and new residents can all find something of interest on our Facebook page. Why not join the community? 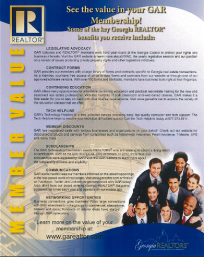 The NEWNAN COWETA BOARD OF REALTORS® is a professional organization dedicated to promoting excellence in real estate business practices, advocating private property rights, and serving our community. Our mission is to enhance our members' ability to successfully conduct business by promoting the image of REALTORS® knowledgeable practitioners essential to the real estate transaction and by enforcing the REALTOR® Code of Ethics.